These initial mentions reveal a curious fact: once, Nascetta was made into a sweet wine and appreciated as an aromatic variety in blends with other white Piedmontese grapes. Even oral tradition confirms this in Novello, long considered the best area for producing this variety: Nascetta was used as a wine for Mass, a sweet wine made from slightly dried grapes, and able to withstand time. The Nascetta vine is, by nature, delicate and unstable. It is difficult to cultivate and unpredictable in yield, going from abundant to sparse production. Over the course of the 20th century, more productive varieties and, most of all, nebbiolo for making Barolo were favored over nascetta until this variety almost completely disappeared. Its cultivation was not entirely abandoned, but the variety survived in the meager lines of vines, interspersed with other varieties, maintained mostly out of affection than for serious wine making. Fortune favors the bold. In 1993, Elvio Cogno and Valter Fissore, together with other producers from Novello, accepted an unusual invitation. In the presence of the journalist Armando Gambera, they uncorked a few bottles of Nascetta from 1986. After this legendary tasting, Elvio Cogno and Valter Fissore were convinced that Nascetta was destined for a great future. Experimentations began immediately: in 1994, he helped with the first harvest. Not one vineyard cultivated with 100% nascetta remained, and so the grapes had to be cherry-picked from among the vineyards throughout Novello. The producers had to study grape bunch after grape bunch, recognizing their variety among the others like artifacts in an archeological excavation. From this harvest came the first production of 800 bottles of Anas-Cetta by Elvio Cogno, one of its first labels on the market. It was a “clandestine” wine, without classification, much less with officially defined characteristics for its commercialization. The work of Elvio Cogno and the producers of Novello primarily brought about important results, stimulating research, fostering recognition, and most of all, distinguishing itself for high quality. In 2002, Nascetta became a DOC “Langhe” wine. In 2010, it obtained the most prestigious recognition of its own appellation, “Langhe Nas-cetta of the Township of Novello,” whose production is only authorized within the confines of the township of Novello and using 100% Nascetta. 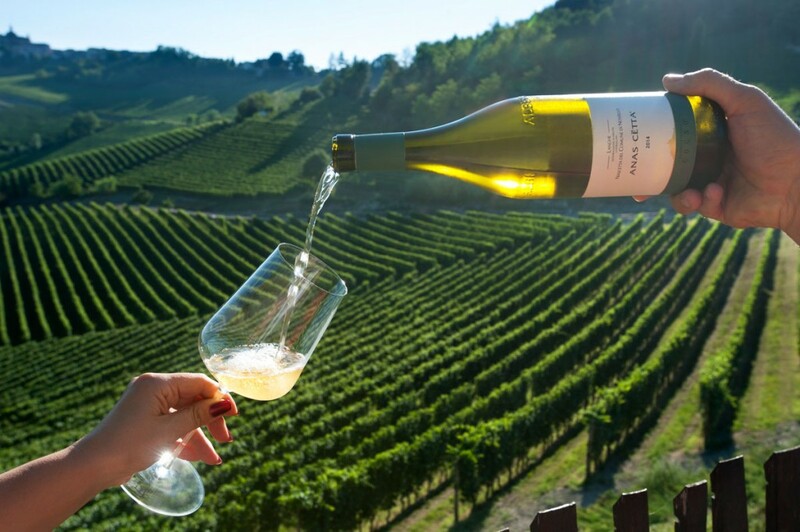 Today, Nascetta is recognized as one of the great white wines of the Langhe. About 20 hectares of vineyards are cultivated with the variety for a yield of 55 quintals. The variety has grown over the confines of Novello, though it remains at its purest and best expression in its designated appellation. The principle characteristics of this wine are its versatility and adaptability to different wine making styles. Whether in stainless steel or wood, the variety maintains its typical characteristics and is capable of expressing its territory, while allowing the producer to leave his or her signature. Anas-Cetta by Elvio Cogno is distinguished for its brilliant gold color, fruit of an attentive extraction. On the nose, it has notes of citrus and exotic fruits, while on the palate it reaches a notable savoriness with hints of sage and rosemary. It is ready to drink but can withstand aging, providing the excitement of a great white made in a land of reds.